Before I get to this issue specifically, a brief overview of how this series has progressed. When Jason Aaron and Ed McGuinness began this book last year, it quickly became one of the most fun and enjoyable books being published by Marvel. Even if the only real point of that story arc was meant to bring back Nightcrawler (HEY! It’s in the title), I highly recommend the trade. Unfortunately, all good things come to an end and Jason Aaron left the title at issue 6 (with a different artist) capping off a great run on the X-men in general. Once Jason Aaron’s run ended, this was followed by a one-shot done by Kathryn Immonen that continued the light-hearted tone of the series. 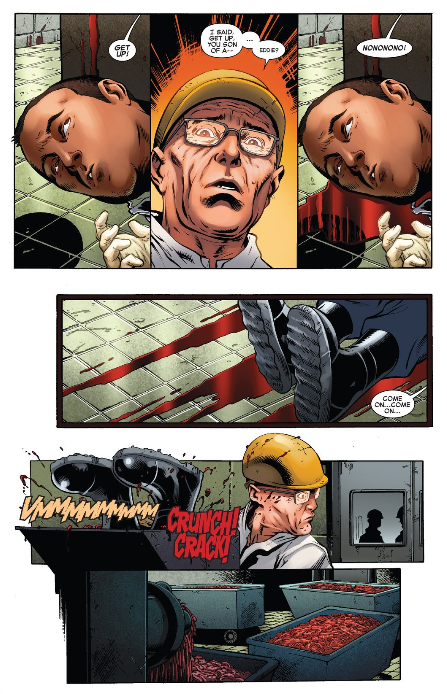 Starting at issue #8, the reins of this book were handed to the writing team of Craig Kyle and Christopher Yost who began their run by having a man accidentally kill someone in a jealous dispute before shoving his corpse into a meat grinder to hide the evidence. Oh boy can a writer change drastically alter the tone of a book. What began as a light hearted adventure story quickly became a dark horror story involving an army of monsters spreading across Canada, devouring everything in their path and increasing their numbers with every populated area they pass through. 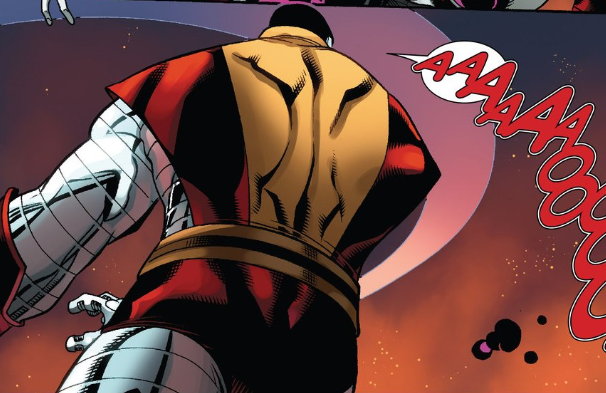 Granted this is completely in tone with the rest of the X-men work Kyle and Yost have done over the years, it’s just the tone shift can be quite jarring even after a writer change already happened. That being said, I generally like Kyle and Yost’s writing, especially their X-men stuff, and I’ve been enjoying this run as well. An easy way to summarize what’s going on in this story is “what if lycanthropy could spread just as fast as a zombie outbreak”? If you don’t know much about Marvel’s version of the Wendigo, don’t worry they explain what they are in just about every issue. Still doesn’t mean that they aren’t portrayed to be terrifying, especially when you see these monsters that are the size of Hulk traveling in packs. Thought I was joking in my summary huh? If you’re a fan of Alpha Flight, than this might be the comic for you because various members have made appearances throughout this arc, with the whole team joining up this issue. Despite the bleak tone, dismemberments, parents turning into monsters and hunting their own children, and the fact that cannibalism creates Wendigos, this arc has it’s moments of humor. Granted a lot of it is fairly dark humor such as what happens here. 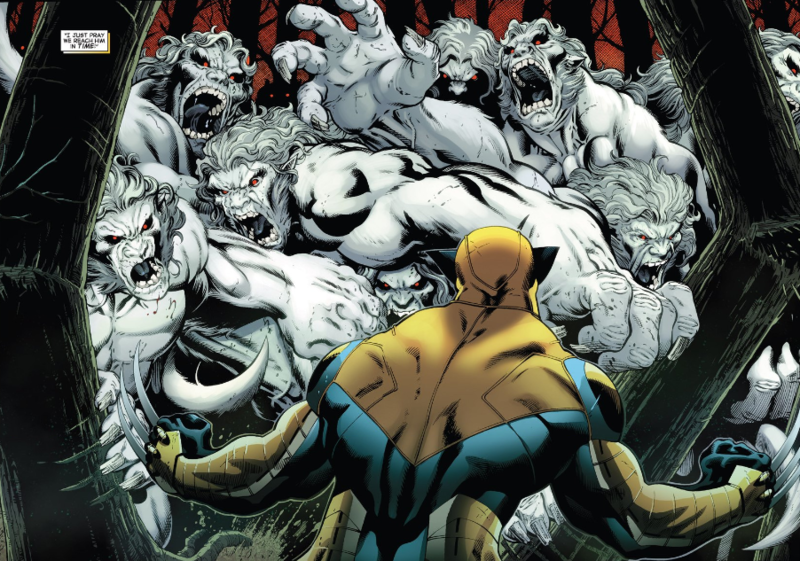 Ed McGuinness returned for issue #8, but after that Carlo Barberi took over art duties. While Carlo (put rather bluntly) is no Ed McGuinness, his artwork is still very cool to look at. His Wendigo’s are especially impressive and he does a good job of upping the tension. All this being said, issue #10 is the weakest one so far. I don’t mean it’s bad, it’s just that this issue seems to be spinning its wheels and not really moving the story forward. For the most part what this issue does is move characters around for next month. Granted, this usually happens in these kinds of stories, it’s just that there aren’t really a whole lot of AWESOME moments that would make this kind of issue more fun. Even the cool plot development last issue is not really followed up on quite as well as you would want. It does result in a pretty funny joke about halfway through the issue. Also, this issue focuses on Northstar for a few pages, showing us his inner monologue. If you’re not well versed on Northstar (like me) you might be thrown how snobbish he appears to be. And while it may have been cool to follow him, he is not the main character of this arc (not that there is one) and this is the first time we focus on him. His inner monologues also have no bearing on the plot, and this is dropped halfway through the issue anyway. Despite the problems, this is still a good, dark story involving an apocalyptic army of flesh eating monsters (each as strong as the Hulk) spreading across the Canadian landscape. X-men and Alpha Flight team up, there is some lovely dark humor, and lets say something interesting happens involving Wolverine. I recommend going back to issue #8 where this story began and catch up. Just don’t expect the world when you get to this issue.